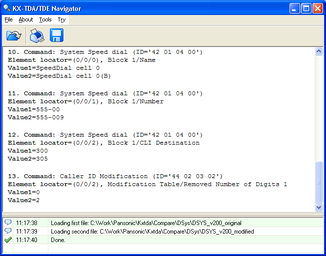 Comparison of configuration files of Panasonic KX-TDA100/200 PBX. The program generates a list of discovered discrepancies - click for a sample. 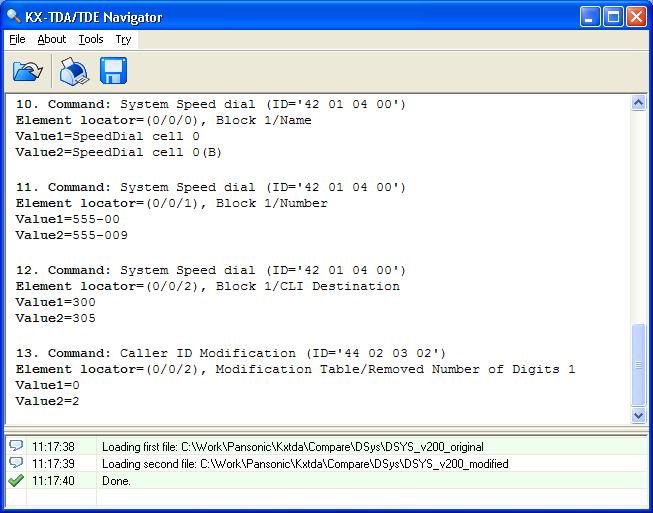 Sample DSYS files used to generate a sample. And lose Speed Dials, Account codes, other settings made by the customer by himself after the last backup? How can I get the files to be compared? These files may also be found on the flash SD-card installed into the PBX.